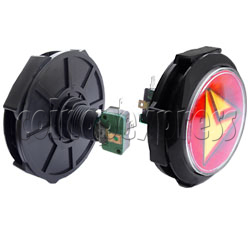 DJ push button with 12V LED light that is not only saving power but also durability. Each button constructed in ABS plastic, it also special in shock and vibration resistant whenever instant ON/OFF press. High quality made microswitch included.